Jade Butterfly is the a 4 column 5 reel, 1024 payline slot from Pragmatic Play. 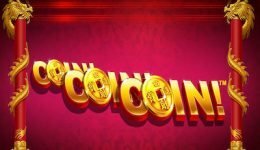 It’s just been released (August 2018) and can be found at numerous casinos including Mr Green, Elf Slots, Slots Gold and Mega Reel. The game has an Oriental theme and combines flowers, card symbols, a butterfly and sounds of The Orient to offer an interesting slot. It tries to stand out from the crowd, however, by offering an individual reel respin feature. Butterflies are considered important in Chinese culture, but a Jade Butterfly has more about it. According to Like A Cat, the Jade Butterfly represents “a wedding of souls, making it an appropriate gift for the groom to give to his bride”. There are no weddings going on with this game though. The slot itself is set on a foggy mountainous backdrop. Lotus flowers and card symbols make up the majority of icons on the reels. The highest paying symbol is the gold lotus flower at approximately x100! Wagering starts at just 30p, but this can be increased up to a maximum of £150 by adjusting coin size and bet values. An Autoplay feature is available and this has plenty of options including Quick Spin and Turbo Spin – just in case Quick isn’t fast enough for you. The slot is designed for mobile and tablet but works just as well on desktop. Jade Butterfly has an Individual Reel Respin Feature. At the end of each spin it’s possible to select one of the five reels to respin. The wager cost for the respin is shown at the foot of each reel. This cost is determined by the current bet and the potential to make a winning combination. If you’ve not seen this feature before then it’s quite novel. However, we’re not too sure whether it’s worth the wagering. This slot does have wilds and these are the Jade Butterfly – note these can only appear on reels 2 and 4. There is also a free spins bonus round. Activate the free spins when 3 or more scatter symbols appear on the reels. 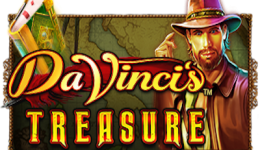 Players receive 13 free spins and x3 multiplier wins during this round. Special reels are in play during the bonus feature. This is a decent enough slot from Pragmatic Play, but it’s not going to wow audiences with it’s graphics or features. The individual respin feature is interesting, but we found it had limited appeal. In many respects it’s like Slingo’s extra wager feature – a quick and easy way to deplete your funds. Regular slot players may find that the house edge is a little too high compared to other games and therefore look elsewhere.